With March giving us both the Nintendo Switch and The Legend of Zelda: Breath of the Wild, a game that is likely to be the pinnacle of the series thus far, it’s worth taking a moment to look back in time at the low-point of Nintendo’s legendary franchise. There was a brief period between 1993 and 1994 that Nintendo would love to sweep under the rug: the very first time a Nintendo series appeared on a third-party platform. How and why this happened, as well as what the end results were, is something that will require us to take a brief detour down memory lane. Back in 1988, a company called NEC took a bold risk by beating all other hardware designers in a bid to release a CD-based home console. This took the form of an add-on to the existing TurboGrafx-16 game console, and although it was priced rather highly, it was home to some impressive titles (Ys: Books I & II, Dracula X, etc.). Seeing CD-based media as a way of providing higher-quality audio and visual entertainment, coupled with much higher storage capacity, both Sega and Nintendo wanted in on the deal. In 1989, Nintendo publicly announced that they wanted to develop a successor to their popular 8-bit NES, and behind the scenes began shopping around for a partner to develop a CD add-on for the upcoming system. At first, Nintendo found a willing helper in Sony with a tentative “Nintendo PlayStation” entering the early stages of development. However, Nintendo eventually pulled out of this partnership and instead sided with Philips Interactive, but this deal also eventually fell through. On Sony’s side of things, this kick-started the development of their own wildly-popular Sony PlayStation, but for Philips this situation allowed for a unique turn of events: they maintained the licensing rights for the Legend of Zelda and Super Mario Bros. series. Philips wasted no time trying to capitalize on the potential gold mine they’d been given. 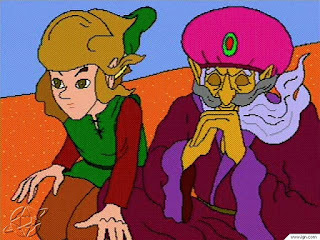 Development studio Animation Magic rushed to put together two Zelda games that would be shown off at the 1993 Consumer Electronics Show, releasing commercially at the same time on the 10th of October, 1993. Link: The Faces of Evil and Zelda: The Wand of Gamelon, were noteworthy in that they both took players beyond the Kingdom of Hyrule, included voice-acting, higher-quality audio, and even had animated cuts-cenes (albeit poor ones!). Although the three CD-i Zelda titles (more on the third one soon!) have been universally panned by modern critics and gaming personalities due to the laughably-cheesy animation and dialogue, it’s worth pointing out that the games were fairly well-received at launch. Chris Rice of SNES Force said the game was 'breathtaking' and lauded its high-resolution graphics and its use of 'music and dialogue'. Where as Joystick Magazine said it was an 'arcade-quality game with perfect animation'! It’s funny how much time can change opinions like that. Now these titles are the subject of “YouTube Poop” videos and have become a source for a large variety of memes. The two Animation Magic titles were followed up in 1994 by a company called Viridis, who produced Zelda’s Adventure, a more traditional top-down adventure game that featured live actors. This third title, also rather infamous (though not nearly as much as the first two), goes for rather large amounts of money on eBay due to its relative rarity. 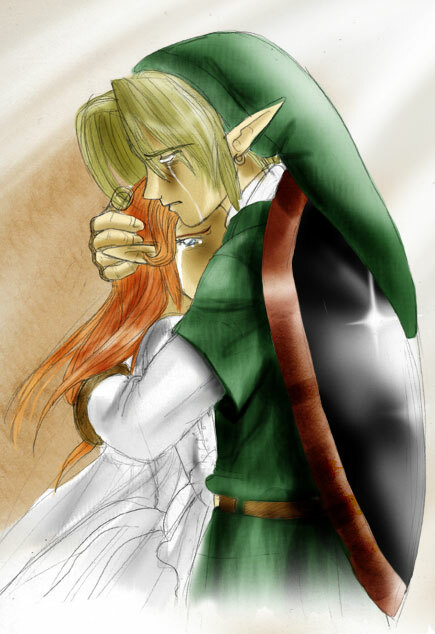 Out of the three games, Link: The Faces of Evil is the only one that I played through to completion. I first got my hands on it around 2005 after having purchased a CD-i system that came with the digital video cartridge. I came into the game with no negative bias: in truth, I had been very curious what these CD-i outings were like and I wanted to experience them first-hand. I did think it was odd that the developers went with a side-scrolling set-up similar to the less-popular Zelda II: The Adventure of Link, but overall I felt the hand-drawn visuals were lush and the animated characters and dialogue made the game feel more alive. Sure, the cutscenes were definitely cheesy, but overall the game was decently fun. Playing with the CD-i joystick is a bit of a challenge though (I’d like to try it one day with an actual gamepad), and some of the physics are wonky (there’s no period of invulnerability after taking damage, so players can easily be killed in a second or two by a large barrage of attacks or simple collision with enemies). Yet those flaws aside, while the game didn’t win any awards (and rightfully so), I don’t think it was as terrible as a lot of people made it out to be. Still, when it comes to third-party use of Nintendo characters, Capcom did a more admirable job with the Oracles games on the Game Boy Color and The Legend of Zelda: Minish Cap on the Game Boy Advance. Recently, Nintendo has also gotten into the mobile gaming arena with Super Mario Run as well as Fire Emblem Heroes, and so far those two games are doing pretty well. Even though I can understand why they want to sweep the CD-i titles out of memory, they still were fairly remarkable for the technical achievements they represented at the time. 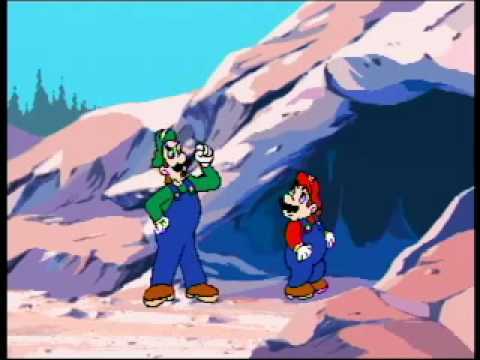 By the way, I’d be remiss if I didn’t point out that Mario made an appearance on the CD-i in the form of 1994's Hotel Mario, and while not as infamous as the Zelda titles have become over the years, it was also lackluster at best. Some have suggested that the unimpressive nature of Philips's use of these Nintendo characters in their CD-i titles may have been a factor in why Nintendo didn’t bother adopting CDs as the storage medium for their Nintendo 64 game console where both Sega and Sony had already done so. 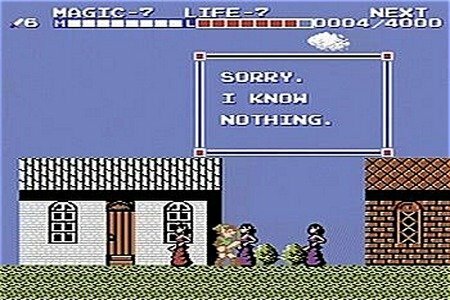 With a little luck, 2017 may be giving us the high-point of the long-running Legend of Zelda series, but you know what? 1993 actually was a pretty good year for the franchise. Despite the lackluster CD-i appearances of Link and company, most gamers at the time had no idea about those titles. Instead, 1993 gave us The Legend of Zelda: Link’s Awakening on the Game Boy, which has become one of the best-rated titles in the franchise. Even though the CD-i games have a collector’s appeal and will always have a niche place in history, it may be better to remember 1993 for Link’s Awakening in the end.